Rachel Harrington’s overseas music career has had two phases. Between 2007 and 2012, the singer-songwriter from the Pacific North West recorded three successful solo records and a one off country project as front person of the Knockouts. Additionally, she toured UK and Europe countless times utilising the solo, duo and band formats. This focus away from her American home met with critical praise including a session recorded for the Bob Harris Country Show on BBC radio. An extended hiatus followed that was only broken last year when making a tentative return to play a few UK summer shows. Among the dates on the tour was a first ever visit to the Kitchen Garden in Birmingham. Now the music rehabilitation is in full swing another overseas trip followed and with no surprises, a repeat engagement at the Kings Heath venue ensued. The show put on by Rachel was of a similar vein to last year. She used the first half to share some of her older material including a few requests from fans that have actively followed her for years. Among the set of original tunes played this evening, ‘Karen Kane’, ‘Under the Big Top’ and ‘Carver’ were from memory additions to what made the show last year. On the other hand, there was no mistaking the repeat playing of firm old favourites ‘Sunshine Girl’, ‘Spokane’ and ‘He Started Building My Mansion in Heaven Today’. Supplementing each song was the ubiquitous backstory, an art that Rachel has perfected over the years. Some of the stories were new while others retained an air of familiarity, the natural consequence of following an artist for over a decade. Similar to last year Rachel switched focus after the break to share some of her favourite cover songs, a love that has helped rekindle her desire to play music again. Most of these were familiar tunes with ‘Unknown Legend’, ‘Ode to Billy Jo’ and ‘Dublin Blues’ featuring last year. Although once again from memory, ‘Blue Eyes Crying in the Rain’ and ‘Those Memories of You’, the latter from the original Trio album, were new additions for this year. In true Rachel Harrington tradition, the gospel tune ‘I Don’t Want to Get Adjusted to this World’ was her parting gift to an appreciative audience. A few of these songs are set to feature on an upcoming covers album that Rachel has self-recorded, but alas physical copies were not available for fans to purchase on this tour. Plans are afoot for her to return to the UK to play some shows next summer, so this omission should rectify then. Although there is strong evidence online of new music coming soon, it was strange that not a mention was voiced during the show. Maybe a little insight or sneak preview would have whetted the appetite for the very aspect that won Rachel Harrington many fans overseas in the first place. Inevitably, this output will be the ultimate judge of how successful the return is rather than the covers. Fingers crossed that 2019 will be the year when Rachel Harrington – the songwriter completes the rehab and new material to match her esteemed past surfaces. The continual search for keepers of the country flame from the contemporary pool can pause for a moment to digest the brand new album from Carson McHone. CAROUSEL may have a slightly rehashed slant to it, but if you are new to this Austin Texas native then none of it matters. The eleven-track album gets its release on Nine Mile Records, a label responsible for artists such as Carrie Rodriguez in the past. One guarantee is that anybody with a faint interest in traditional country music will at least raise an ear to the music of Carson McHone. Expect plenty of fiddle, steel and lyrics drowning in vocal emotion. In other words, check off the country template credentials and sit down to enjoy how Carson has successfully made a record to get the nod in influential circles. In essence, the album is ten-strong in terms of songs, the eleventh being a one-minute instrumental intro that effectively launches the second half or reverse side if playing the vinyl version. Four of these songs get a second life after surfacing on the 2015 self-released GOODLUCK MAN, including the title track from that release. Whether or not you are au fait with the previous record, chances are high that CAROUSEL will reflect positively and slide neatly into any available listening space. Whatever tempo floats your boat; this album serves you well ranging from sad song waltz syndrome attached to ‘Gentle’ to a more foot-tapping rockabilly sound belting out of the pacey effort ‘Good Time Daddy’. Retro is especially king in the fifties style swing number ‘Maybe They’re Really Just Good Friends’, but to balance things and inject a hybrid perspective ‘Drugs’ in the second track position retains a contemporary feel. The latter uses repetition effectively to power home the message and supplies a decent live video to highlight the song. Background blurb sheds light on ‘Dram Shop Gal’ being autobiographical, and thus maybe a web search for the term as used in Texas if unfamiliar. Note us Anglos may only know the meaning from the Scottish phrase ‘wee dram’. For a slight switch in the sonic landscape, the final track ‘Spider Song’ detours from a country feel to more of a folk sound courtesy of a melodeon/accordion style whirring backdrop. Elsewhere on a record that eases itself comfortably into repeat play mode, ‘How ‘Bout It’ scores highly in late night piano ballad territory. In contrast, ‘Lucky’ possesses an appealing mid-track tempo switch and if you feel the desire to anoint a stand out song then it acts as a commendable candidate for the crown. Alternatively, you could look no further than the opening number ‘Sad’, one possessing an initial dose of country music staple that goes a long way to defining the album. CAROUSEL is a useful addition to any serious country music collectors’ catalogue and showing once again, that Texas is often the hotbed for the decent stuff. The name Carson McHone may not be yet well known, but time is still on the side of this twenty something artist and further recordings as good as this one will serve her well. As expected, the entire complement of new material fluttered around a packed venue leaving just enough room for some classics to mature nicely like that proverbial fine wine. Rumours of the modern classic ‘Merry Go Round’ jettisoned from the set list were far off the mark and it is impossible to tire listening to its cutting lyrics and smart observation. This evening’s rendition slightly slowed down and had a boost from the haunting tones of pedal steel. The instrument famously described by Danny Wilson as ‘the ironing board of love’ played a significant role across the set and securing the services of ace Nashville based player Smokin’ Brett Resnick for the tour was an astute move. The band, a six-piece operation and a little more conservatively dressed than on previous tours, played the perfect foil to the glitz and sparkle of Kacey. Easing between the more studio-based sounds of GOLDEN HOUR and the roots focus when the country ‘A’ game ascended, they probably had their finest moment when let off the leash for the final throes of ‘Die Fun’. The country content (yes, there was still plenty to keep Kacey in credit column) increased when the band re-assembled in acoustic mode at the front of the stage to deliver ‘Oh, What a World’, ‘Family is Family’ and the first half of ‘Love is a Wild Thing’. The first of this trio proved interesting as it is one of the more controversial tracks on the new album from a production standpoint, but tonight it had its roots credentials reclaimed. The final song during this segment is the most acclaimed on GOLDEN HOUR, praised by fellow songwriters as a stellar piece of song writing. Kacey introduced it as the moment when finding love was unexpected and used the second half of the song to usher the band back into standard formation. Joining a raft of tracks already mentioned as key high spots are five more from a set that just about surpassed the hour forty mark. ‘Follow Your Arrow’ is staple Kacey fare and forever cements in the pre-encore singalong slot. ‘Rainbow’ is one of the most beautiful songs she has recorded and its spot opening the encore was perfectly suited with Kacey just accompanied by a band member on piano. The track rapidly ascending as a favourite on the new album is ‘Happy & Sad’ and the live version provided further confirmation. Whatever thoughts arose concerning the direction of the new album ultimately override by the sheer quality of the songs and it has been an absorbing experience giving the record room to prosper. On the other hand, it is always enjoyable to listen to what Kacey does best, with ‘High Time’ and ‘It Is What It Is’ proving timely reminders. While not being the most charismatic and emotive performer on stage, there is an endearing charm to Kacey Musgraves. Vocally she is competent enough to hold sway and probably peaked on that front with the added feeling observed to ‘Space Cowboy’. For a round of fun at the end, she was joined by opening act Sophie from Soccer Mommy to duet on a cover of the NSYNC song ‘Tearin’ Up My Heart’ (research needed to name this track! ), and the disco tune ‘High Horse’ either sent some folks home happy or others heading for a swift exit. Take your pick. It was interesting that Nashville-based indie rock band Soccer Mommy were invited to open on this tour, almost confirming the distant stance being taken from country music. They played a forty-minute opening stint, and paraded as your usual four-piece combo with a lite twangy electric sound. The highlight was a short segment when Sophie played solo for a few tunes, including a different take on Springsteen’s ‘I’m on Fire’. At this point, there was a touch of Phoebe Bridgers about her. By the way, check Phoebe out if you have not heard her and like a bit of deep feeling indie Americana. This was the fourth time seeing Kacey Musgraves live and probably the best yet. The performance housed an artist in control and one who works within the limit of their strengths. These obviously lie in the stunning songs that she brings to the table and the affable way they present, along with the top musicians she works with. Horizons are expansive for this native of Golden Texas and who knows where Kacey Musgraves will drift next. One suspects a tenuous tether to country music will always exist and it will be of no surprise if her career evolves into one of influence. This performance upon a return to the only Birmingham that really counts was absolutely adorable and a major advert for the magnetic attraction of top quality live music from an artist who clearly matters. Jamie Lin Wilson was an artist recommended to me a few years ago. The subsequent period has seen her occasionally flicker on my horizon with only a 2015 album release to follow up the original 2010 Dirty Blonde Hair EP. However, 2018 is set to be a major landmark for this Texas singer-songwriter based south of San Antonio. The good fortune of obtaining an advance copy of JUMPING OVER ROCKS set the pulse racing with countless early plays that tagged this album as one of the year’s forerunners in the authentic country stakes. 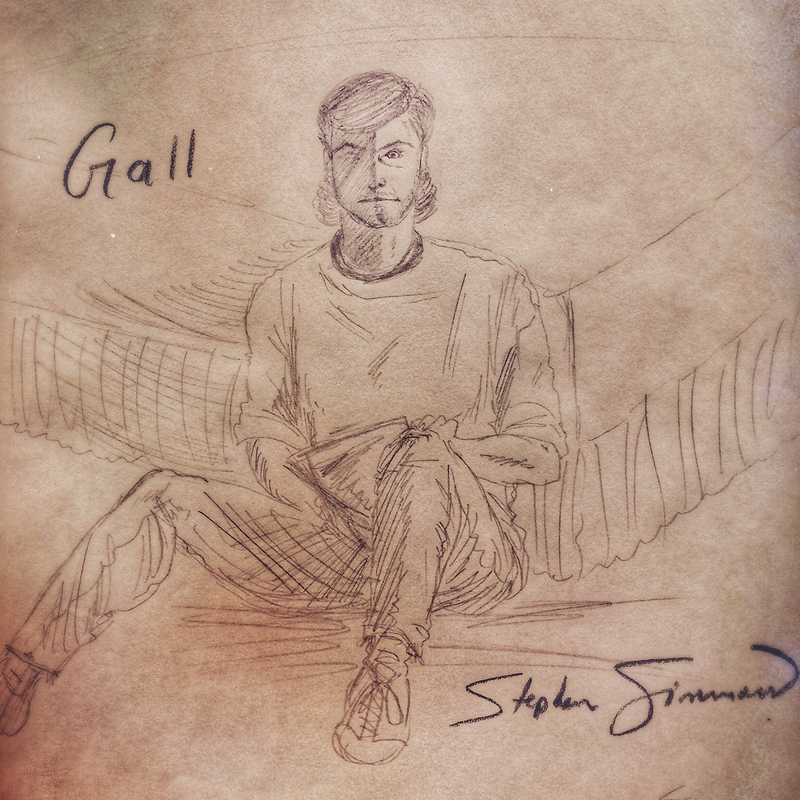 As the album is now out for all to enjoy, the time is ripe to share the love for a record spiralling deep into the ethos of this blog’s title. JUMPING OVER ROCKS has its name drawn from a lyric in the mid-album story track ‘Death & Life’ and evolves into an eleven-song collection of primarily original numbers. The exception is a nodding tribute to the late great Guy Clark via a version of ‘Instant Coffee Blues’ in tandem with fellow Texan Jack Ingram as her duet partner. It is fitting that Clark has some presence on the album because Wilson is one of many artists stoking the fire of articulate song writing and fully embracing the sweet spot where country meets folk. The last analogy had its origin in the press release, proving that occasionally, publicist hyperbole warrants. Jack Ingram also features on the first track in the co-writing role. ‘Faithful and True’ is a stunning emotive ballad, which exudes an enormous amount of strength straight from the off. Wilson’s voice really gets into the aching groove from the subsequent track ‘The Being Gone’. Here the Texas reference ventures north to Dallas in the lyrics and cements a ‘Lone Star’ rhetoric that begins with the album recorded in Austin. Despite the paucity of solo releases, Jamie Lin Wilson is an experienced operator on the Texas music scene. There is no rookie naivety on the album, just the work of a seasoned professional, upholding the constitution rather than acting as a revolutionary. There is nothing wrong with that stance especially when eleven tracks to salivate over emerge. Making substantial cases for the stand out moments are two tracks with serious connotations. Wilson teams up with Turnpike Troubadours frontman Evan Felker for the rousing ‘Oklahoma Stars’ to bring a slice of quality country music c/o west of the Mississippi. At the album’s conclusion, the style drifts heavily into Brandy Clark territory with the character led ‘Alice’ reminiscent of the great storytelling songs that launched her associate into the upper realms of country music. Whether a similar path follows for Jamie Lin Wilson is probably unlikely, but she knows her niche and plenty of adorable praise will still pour in from astute critics. There is a tidy mix of stompers and smoochers across the album. ‘Run’ is pure country gold and rattles along with a tempo to keep the boots shuffling. At the other end of the scale, ‘Everybody’s Moving Slow' is your archetypal tender slow dancer and hits the heartfelt spot amicably. The ubiquitous steel maintains a steady upbeat feel to ‘Eyes for You’, while ‘If I Told You’ stoically flies the flag for the more emotive temperate numbers. The stark message that eases out of ‘In a Wink’ is that some much of this album has a stand-alone appeal making it very easy to syphon any one of the tracks for radio play. The authenticity and real deal nature of JUMPING OVER ROCKS makes it an album to celebrate as much as one to deliver endless listens. 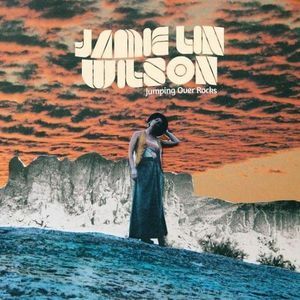 Good music travels over the wires easily today, so if Jamie Lin Wilson had a desire to make a European trip, then plenty of fans would embrace her. Enjoying this cracking record makes having faith in that early recommendation handsomely pay off, with or without the live dates. Some albums wither and die probably only destined to have a short shelf life. Alternatively, others possess longevity to benefit from subsequent renewals. Kirsty Merryn’s SHE & I absolutely falls into the latter category. Its conceptual uniqueness added a breath of fresh air to the folk world, everlastingly sustained by a pristine execution. Twelve months on from savouring the delights of the record upon release, there was a timely opportunity to return to the album as Kirsty delivered its entirety on a current run of live dates across the country. Although she is no stranger to playing shows in the Midlands area, this was Kirsty’s first visit to the Kitchen Garden, an ideal venue to capture the intricacy of the record. This solo presentation was a one off on the tour as partner Todd McDonald was unavailable for the evening. Having only previously seeing Kirsty on her own, it was a case of business as usual. The decision to split the evening between the whole album in set one and a mixed selection after the break worked well to set the framework for a splendid bout of entertainment. Before Kirsty even steps into the spotlight, a classical training background has supplied the credentials to score highly in the technical stakes. While some singers thrive on an element of imperfection, Kirsty comfortably airs a state of elegant vocal supremacy. Likewise her piano playing offers a cultured backdrop. Maybe a little adrift from folk convention, but perfectly aligned with her attributes. The songs from SHE & I took the whole notion of gender focussed song writing to a new level. The depth of the project is immense, and fully warrants any extended praise afforded to it. For the uninitiated, the album predominately draws on the inspiration from historical female heroes in a variety of fields with Kirsty cementing their various places in the history books in her own inimitable words. Away from the album, and effectively the second half of this show, Kirsty extended her repertoire with a selection of traditional songs and additional ones of original origin. Versions of ‘The Outlandish Knight’ and ‘The Banks of Sweet Primroses’ may go a long way to satisfying folk purists, but the self-penned ‘Deep Wild Torrent’ was the pick of the post-break bunch. Older songs such as ‘Constantine’ and ‘Winter in Ontario’ did have a previous existence on an earlier EP, while tunes like the ‘Wedding Song’ and ‘The Wake’ may yet find their way into recorded status. The future for Kirsty Merryn is likely to be a new release mixing traditional and original tunes with timings heavily dependent on funding. Whether the intensity and uniqueness of SHE & I is matched will be judged in time, but one certainty is that the full bag of performing and writing credentials are set to prosper. Listening to Kirsty sing and play in a pin drop environment was not a bad way to spend a Tuesday evening, perhaps the perfect tonic to a long work day. The name Neilson Hubbard has cropped up numerous times in the producing role of many excellent albums over the past few years that perhaps the moment was right to enter the spotlight. Steps were taken in this direction with the Orphan Brigade project where Nielson collaborated with fellow musicians Ben Glover and Joshua Britt. Now a major leap has occurred with the release of a brand new solo album titled CUMBERLAND ISLAND. 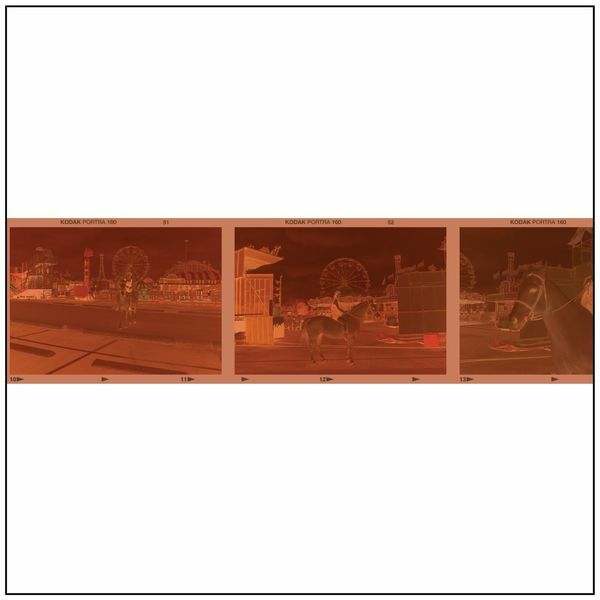 Here Neilson has curated eleven tracks drawn from different periods of his lengthy career to form a theme based around the location in the title. 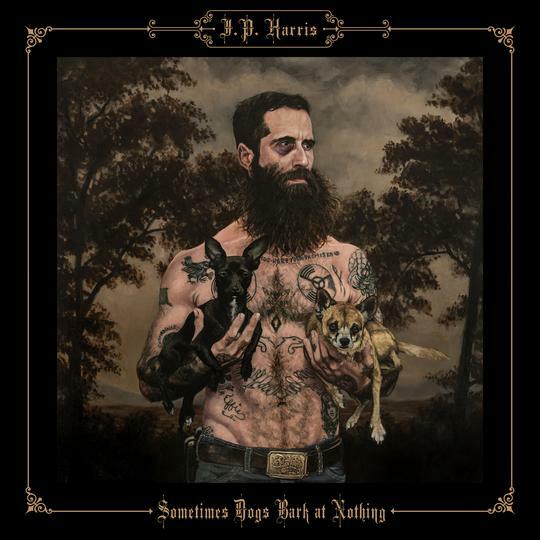 The result is an expansive earthy record scratching deep into the gruff emotions of thoughtful expression. Predominantly, he sinks into submerged insular mode, making the listening experience extremely intimate. Both Ben and Joshua are involved in this album, either in a co-producing, writing or playing role, with another very familiar name in ace guitarist Will Kimbrough being one to jump out on the pre-release blurb. We also learn that Cumberland Island is located off the coast of Georgia (USA not the Caucuses) and a place dear to the heart of Nielson. The album gets a major lift in Europe via a release on Proper Records and there is likely to be considerable interest this side of pond on the back of the artists associated with Neilson. The Americana community is a ready-made potential audience for this record, especially those who find solace in the rugged deep tones of a singer-songwriter wearing canyons of feeling in their vocal style. One thing that Neilson never loses sight of is the listener’s quest to hook up onto some chorus appeal. As much as some of us enjoy burying deep into subliminal messages and intrinsic song writing, there can be as much pleasure derived from just sitting back and letting dulcet sound waves drift around. In these moments, the presence of an appealing chorus cannot be under estimated. Two tracks that fall into this category during the early plays are ‘If The Sun Comes Up Tomorrow’ and ‘That Was Then’. As far as the general vibes are concerned, it will not take long to make the decision to invest a greater amount of listening, but a word of warning is that dissecting this record to the degree that it deserves is no quick fix. So hang in there, and ripe hanging fruit will lower itself into your grasp. A further delve into the collaborative song writing credits reveals a deeper involvement for Ben and Joshua alongside contributions from familiar names such as Matthew Perryman Jones and Hannah Miller. The latter contributed to the rather impressive ‘Oh Black River’ and a very good recording artist in her own right as exemplified in the excellent endorsement given here for a 2015 self-titled album. There is an obvious Ben Glover stamp all over this album, or could it be a reciprocation of a Neilson Hubbard stamp on Ben’s records. Likely, it is an immense deep mutual association, which permeates right through their creative souls. Each of the eleven tracks has a life of their own and the most generous praise afforded is that any review is purely a gateway to experiencing the subtleties of celebrated singer-songwriter roots music. Any lingering doubts around somebody better known behind the scenes crossing the divide profusely extinguish within the vaults of this album. 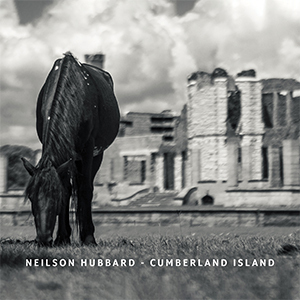 Cinematic and pensive reflection are two starting points in drafting the listening appeal to Neilson Hubbard’s CUMBERLAND ISLAND, the rest is for you to explore. Since being fortunate to obtain an advance digital copy of this album a couple of months ago, the art of falling in love with a record has surfaced. While the sumptuous tones of Hilary Scott’s DON’T CALL ME ANGEL have garnered countless pleasurable plays, the conundrum of how to convert the appreciation into meaningful words refused to reveal a solvable hand. As the eventual release date passed, the time was ripe to at least share a few thoughts and ultimately let folks decide whether they are touched in similar ways. The issue came prominently from where to locate a coat hanger to house such a record in the mind. Genres such as country, Americana and folk bounced around without offering a best fit. Pop reared its head, but that also seemed inappropriate, although the ease of listening meant very little exertion had a requirement. The vague realm of singer-songwriter had to be the final resting place if such a location needed finding. Labels aside, maybe just words like classy, distinguished, passionate and cultured would suffice to get things underway. 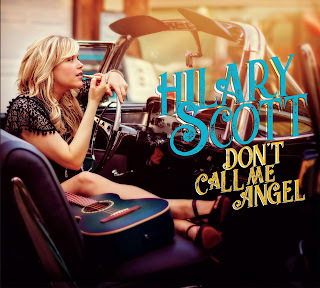 For the record, Hilary has found it convenient to apply the strapline ‘one l’ to announce that she is not the Hillary Scott of Lady Antebellum fame. In fact she is much better. Hilary is an American singer-songwriter, the architect of twelve recording projects over a twenty-year period and someone who constantly looks overseas for opportunities to promote her music. If like me, you are joining her bandwagon in 2018, the notion of better to arrive late than not arrive at all is the ideal conclusion. This latest record is a ten-track effort, comprising of nine self-penned compositions and a cover version of Prince’s ‘Kiss’. The latter emerges as a soft bluesy effort that slightly sits adrift from the crux of Hilary’s prime skill of writing fine songs. Of the nine other tracks, where the killer ballad reigns supreme, there is no finer starting point than the title track ‘Don’t Call Me Angel’. Although, this opening track sets a standard that many others effortlessly match. Throughout, the vocals sink deep into the depths of each song and absolute ownership powers from a passionate and soulful singing style. Soulful with a lower case‘s’ mind you as this is far more heartland fare than R n B focused. The soundtrack accompanying each song acutely executes whether soft rock guitar or shimmering keys take the lead. Even after many listens, anointing a favourite track is still a bridge too far, so many are damn good. When pushed into a corner, ‘Not Used To Being Used To, ‘You Will Be Mine’, ‘Unlove Story’ and ‘Moon and Back’ would make a short list, but ask me tomorrow and any of the nine originals could be included. Anyhow, the true merit of this record is the entity of letting its entirety wash over you in a single listening experience. Long live the album as this review finally sees the light of day on the explicitly inaugurated ‘National Album Day’. Now that release day as arrived, will DON’T CALL ME ANGEL by Hilary Scott make room for the next up on the review process line. No chance, this album has earned the right to be accessible for a while to come. There you are, some words to support a record that appeals. Remember – ‘one l’. 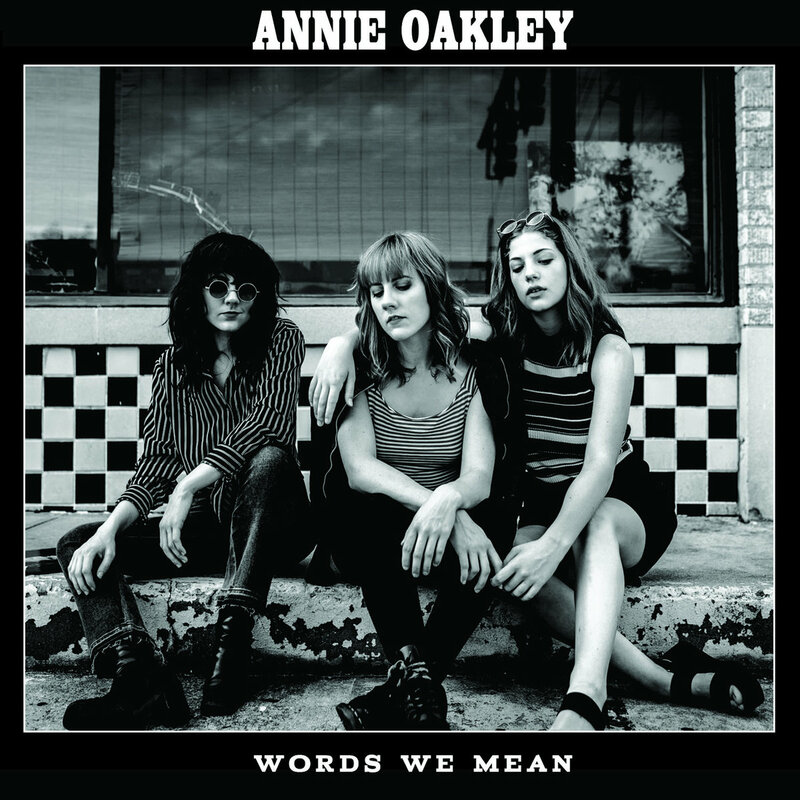 To pun or not to pun, that was the question before scribing any thoughts on the debut Annie Oakley album. Eventually, temptation caved in and reluctance not say that it hit the mark subsides. Adopting the name of an historic sharpshooting hero is a curious and smart move for this Oklahoma-based trio. Maybe there is some intentional gender association on the back of the Babb sisters (Sophia and Grace) teaming up with third member Nia Personette to offer a delectable take on harmonious indie-folk. WORDS WE MEAN had its world bow on October 12 with a release on Horton Records and hence a focus on the UK market via the good guys at At the Helm. The social media age abbreviation RIYL denoting association can often raise eyebrows on press releases and assorted blurb, but stating artists such as The Wailin Jennys, The Staves, First Aid Kit and in more left field, The Milk Carton Kids is generally travelling down the right highway. Admittedly, this album has had a stop start existence in these quarters. Initial promise from the early single ‘Did You Dream’, did not transmit to the first couple of album spins. Even as the luscious sound and wispy tendencies took hold to move the release out of the potential into the review pile, the omission of a killer track keeps the album in check. Ultimately, keeping the reins on any hype surrounding Annie Oakley. However, the potential for the trio to develop is limitless and the sublime hand at their disposal is likely to evolve in a fulfilling direction. The sweet and silky harmonies act as the redeeming feature alongside a lo-fi sound that drips into your subconscious in mesmeric portions. The acoustic vibes come courtesy of some delicate banjo and fiddle, while the injection of the electric guitar provides the indie tinge, most prominent in the midway track ‘Into the Light’. Apart from the aforementioned single, the most appealing song on the record exists in the opening position with ‘Pomp and Swell’ soaring above its counterparts in the melody stakes. As the album gently floats through its forty-five minute duration, further high spots emerge in tracks such as ‘Brother’, ‘If I Were a Ghost’ and ‘Nothing to Say’. ‘Sweet Time’ also does a neat job in signing off the record and sealing the potential of where next. There are probably some clichéd inner thoughts about Oklahoma music in my mind. This stems from exposure to grittier earthy artists such as Carter Sampson, John Moreland, John Fullbright and Parker Millsap. The sound of Annie Oakley could not be further from this style, even to the extent that you could envisage listening to a folk trio from the urban northeast (NYC rather than Tyne and Wear!). So with any association with dusty twang dismissed, it is over to the precious tender moments and subtle gear shifts that mark out WORDS WE MEAN as an album to mark the card of an up and coming act. Once studies are out the way, Annie Oakley intend to step up their music activity on a grander scale. Adding some muscle and a couple of killer tracks will boost their presence and we might just be well seeing the beginning of something special. Three vocalists that appeal to me all find perfection within imperfection. The voices of Lucinda Williams, Brandi Carlile and Natalie Maines each possess a fault line offering a peep into the chasm of their soul. Now without resorting to a case of over hyperbole, there is a distant resemblance in the vocals of Emily Mae Winters thus lifting her head and shoulders above most singers that cross my ear. This is one immense talent that needs to be nurtured, with a limitless potential dripping out of the songs, music, voice, and an approach to projecting a distinct style. Any resemblance to conventional folk music is ebbing away as Emily sharpens up her tools to launch into album number 2. The probability of Emily Mae Winters soaring up the scale of UK performers recognised in the blurry horizon of Americana is increasing to the extent that 2019 could be one big year. Anyhow, back to the present and the HIGH ROMANCE pre-release tour stopping off at Birmingham. This show was a lower key affair to last year’s visit. Maybe the reason was the ‘between albums’ syndrome and spreading an existing fan base thinly between Birmingham, Coventry & Leicester. Any return is sure to be an upgrade in turnout especially with the new record in tow and the buzz of a special artist getting the word around. Hooking up on the live front with ace guitarist Ben Walker is a smart move. Without wanting to dismiss his work in the Josienne & Ben duo, the scope in the direction Emily’s music is taking will present ideal opportunities to branch out in a live capacity. Before exploring the main set in detail, a special word for Annie Dressner, who switched a rescheduled performance at the Kitchen Garden to open the evening. Annie, an exiled New Yorker now a 7 year plus resident of Cambridge, is making tentative steps back into active performing after a lengthy break. It was back in 2013 when I last saw Annie play live and the simultaneous release of her most recent recording. Five years on and the Anglo-American vocals remain, pouring originality into a series of songs cut from a decent cloth. Annie mixed her set between a few tracks off an upcoming album and some older stuff. The songs ‘Brooklyn’ and ‘Fly‘ rather splendidly represent the transitional period in her life of moving to the UK. To bring things up to date, ‘Kentucky’ and ‘Heartbreaker’ reveal a more stable existence albeit both themes hark back to the past with stateside origins. The new Annie Dressner album, BROKEN INTO PIECES, is formally released towards the end of October and expect to hear a lot more from this talented singer-songwriter in forthcoming months. As soon as Emily Mae Winters hit her stride with ‘Blackberry Lane’, memories instantly came flooding back of the first time I heard her. This was a short set at last year’s Moseley Folk Festival. Around the same time, the SIREN SERENADE album was released and while times may be changing, we still had timely reminders of what a fine album this is. ‘Anchor’, ‘Miles to Go’ and the title track joined the opening number from the album. In fact, ‘Siren Serenade’ was one of a couple of tracks delivered solo, with even her guitar getting the elbow in this one alongside band mates Ben and John Parker on upright bass. On the guitar front, Emily proudly displayed (and played) her brand new Gretsch alongside a more worn traditional acoustic model. The electric came into its own as the new songs began to ease out of a rockier wrapping. Of course, the challenge to adjust the vocals to combat the greater amplification is presented, one that Emily accomplished relatively comfortably. Her voice will definitely grow into the new songs alongside an opportunity for Ben to ratchet up the solo segments. Such talent should be encouraged to shine and any enhanced presence would be a great addition to Emily’s music. One certainty is the strength of the new material. More will seep out in due course. From a theme perspective, ‘This Land’ and ‘How Do You Fix a Broken Sun’ prove intriguing listens. While ‘Come Live in My Heart & Pay No Rent' succeeds big style in the title credentials and shows that the folk tendency to trawl the archives for inspiration will never wane. While John Parker does a sterling job in the rhythm role, there is mileage in adding drums to the new material, although their road use is always subject to viability. An interesting thought is how these new songs will be recorded when Emily hits the studio in December. Inklings are that a desire to upgrade the creativity stakes will prevail and not churn out standard versions, which have been done a million times previously. The tools are at Emily’s disposal and it will be interesting to listen to her eventual route. On the covers front, this evening’s set contained a pair of classics, of which the highest praise is that Emily owned both renditions. To put a stamp on the Krauss/Plant revised version of ‘Killing the Blues’ is no mean feat. In addition, you can carry me away from this world with ‘Will You Still Love Tomorrow’ playing, and even if you substituted The Shirrelles with Emily Mae Winters there would be few complaints. Both these covers were repeats from her last visit to the Kitchen Garden in October 2017, although sadly we did not get ‘Red Dirt Girl’ on this occasion. One room for improvement is for the set time to be lengthened to boost the live reputation. Weighing in at just under the hour was a little short. Eventually two full albums plus a few choice covers will provide ample material to increase the stage time. The final song to send the Emily Mae Winters faithful contingent merrily on their way home was another nod in a country/Americana direction with a good ole drinking song titled ‘Gin Tingles Whisky Shivers’. If a seal of approval need further adhesion then this night delivered in voluptuous portions. Very few vocalists have created the same level of effect than Emily Mae Winters and the sheer quality portrayed this evening suggests few will struggle to match her, especially away from the classically trained folk hierarchy. Indeed 2019 has the potential to be very special when HIGH ROMANCE emerges and the next stage of the Emily Mae Winters bandwagon kicks fully into gear. It is nearly four years ago since Bob Collum brushed away any New Year blues with the release of a record that eventually travelled a long way down the 2015 musical highway. Now as the nights draw in and 2018 hurtles towards its conclusion, the follow up to the excellent LITTLE ROCK is unveiled for all to hear, complete with a spring in its step to placate any detrimental season change. PAY PACK AND CARRY still carries the moniker of the Welfare Mothers as the backing band and resumes Bob Collum’s stature as the architect of some exceedingly infectious music. Terms such as pub rock, power pop, alt country and exiled Americana can be tossed around and still carry a resemblance of accuracy whichever angle you choose to approach this album from. 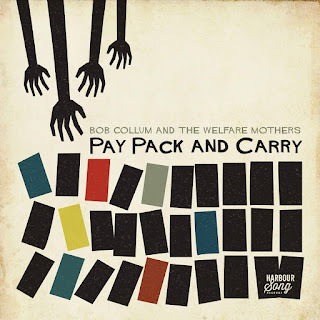 Ultimately, Bob Collum, and whoever nestles comfortably within the Welfare Mother family, makes music that sinks deep into your psyche and retains an instinct to refuse to budge from your immediate horizon. In other words, the challenge is to let a satisfactory smile leave your face when this album gets its umpteenth play. A tough one given the ingrained appeal. Plenty of fiddle and steel ensures that an element of countrification remains in focus, albeit definitely from an alternative perspective. Many of the tracks do not refrain from a good rinsing of pop sentiment, albeit from a bygone age where trends were not subject to the chase and quite simply - good songs became popular. Just pitching gems like sumptuous album opener ‘Across a Crowded Room’, serious standout candidate ‘Catherine Row’ and infectious title track ‘Pay Pack and Carry’ against classic covers of Michael Nesmith’s ‘Different Drum’ and the Incredible String Band’s ‘Log Cabin Home in the Sky’ ratchet up the song writing acumen of Collum. Whatever your view on covers, you cannot deny the value they add here and a humble touch from the press blurb suggests they keep an artist in check from running rampant with self-absorption. Also by reigning in the content, the album exudes a compact feel with each of the ten tracks playing an important part in maintaining momentum. You gain the impression that the music flows devoid of complication and this aids the ease of listening. Indeed the whole clarity façade embeds into the listening experience that mixes the explicitly detected American twang of Tulsa born Collum with a good ole British pub rock sound. Back in 2015, it was the classic duet ‘Good Thing We’re in Love’ that hooked me into the work of Bob Collum. This time the highs were more evenly spread, to the extent that it did take a few spins to get the fires stoked. Once up and running, the bandwagon of PAY PACK AND CARRY rose through the gear changes ensuring tracks such as ‘Mr McGhee’, ‘Tin Can Telephone’ and ‘Blue Sky Rain’ assumed a similar mantle to those tracks eulogised about earlier. At this stage, it would be remiss to omit ‘Scarecrow’ and ‘Hey Blue’ as they are integral parts in keeping the toe-tapping feel to this record rolling along. Indeed, there need not be an anointed highlight as the true reward has been to keep this record on heavy rotation without any remnants of weariness surfacing. 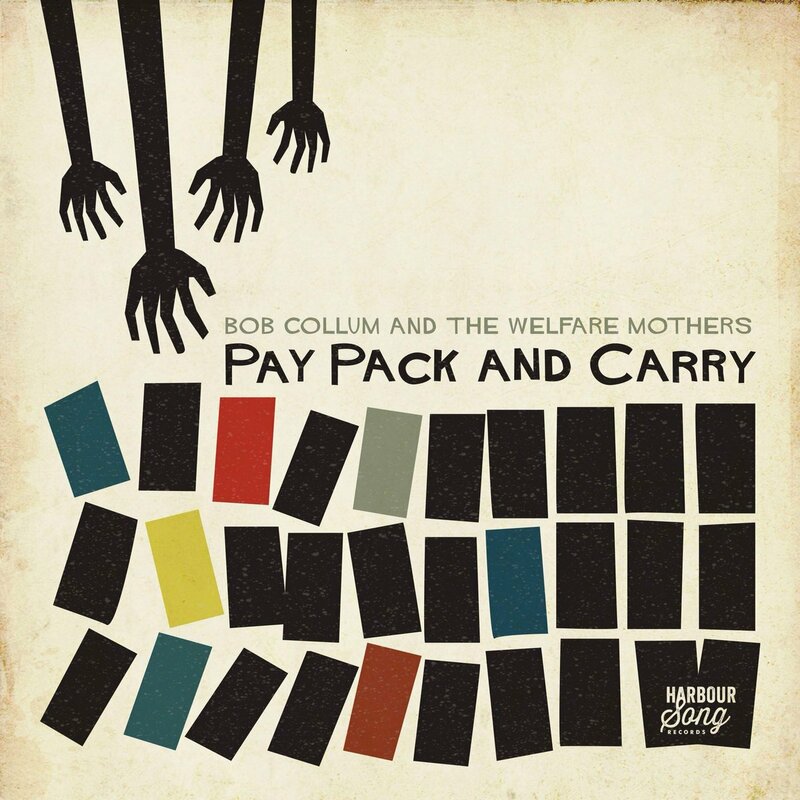 Between albums, it is a relatively low-key existence for Bob Collum and the Welfare Mothers in my world, briefly punctuated by a Maverick Festival appearance in 2015. However, this compensates greatly when the album release cycle delivers. Who knows what 2019 will bring, but one certainty is that PAY PACK AND CARRY will not be filed away too deeply and is a good 'go to' when you want a slice of uncomplicated sophistication in your listening repertoire.